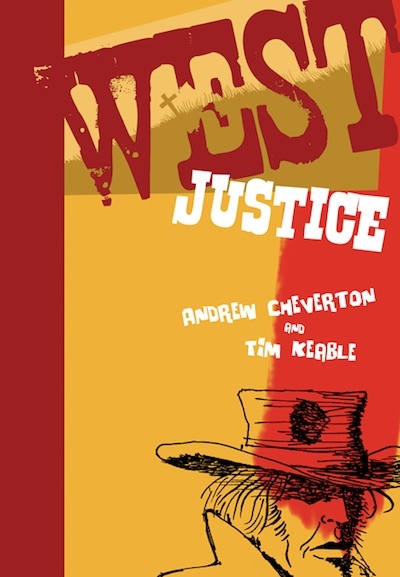 West: Justice is a 120-page paperback, containing issues one to five of Volume I. Written and lettered by Andrew Cheverton and illustrated by Tim Keable. A name heard in stories, breathed in whispers. In some tales, he’s a lawman who stands for what’s right and fair. In others, he’s a killer hell-bent on revenge. Yet more tell of a man wronged by evil and denied his true love, of a brave Union soldier and a true friend. Some say he fought ancient spirits and killed dead men, shot down the righteous and stood alongside the underdog. Some claimed to have killed him, or lost loved ones to his gun. His name, though, all men can agree on; told around campfires in the cold prairie night, in the candlelit backrooms of low-rent saloons. His name was Jerusalem West… and these are his stories. West: Justice is reprinted in a 120-page paperback edition. It contains issues one to five of Volume I, and is available via Paypal for £10.00, P&P extra.